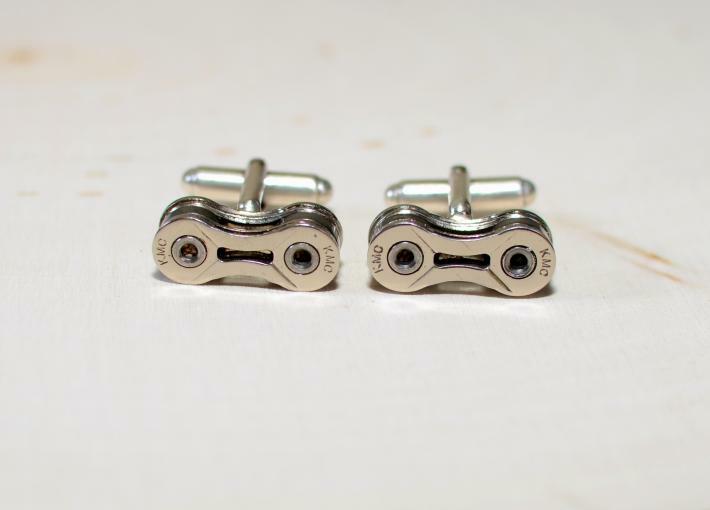 Crafted for a passionate cyclist, these bicycle chain cuff links used a recycled KMC 9 speed chain that was rigorously tested in Moab, Sedona, Phoenix, Colorado, and ridden through the wet sloppy rock gardens of New England. 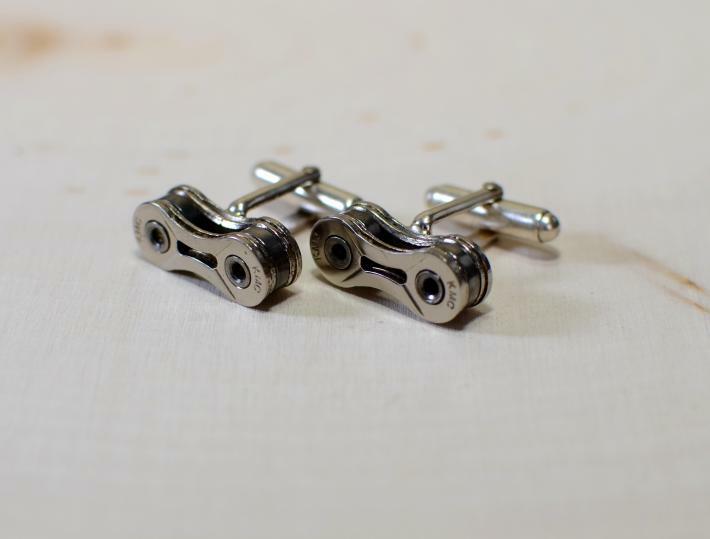 As opposed to plated and glued cuff links, the torpedo style link is true sterling silver and was joined to the chain using sterling silver solder and an acetylene torch to produce cuff links that are sturdy enough for day of Downhill or hitting the jumps at your favourite dirt park. 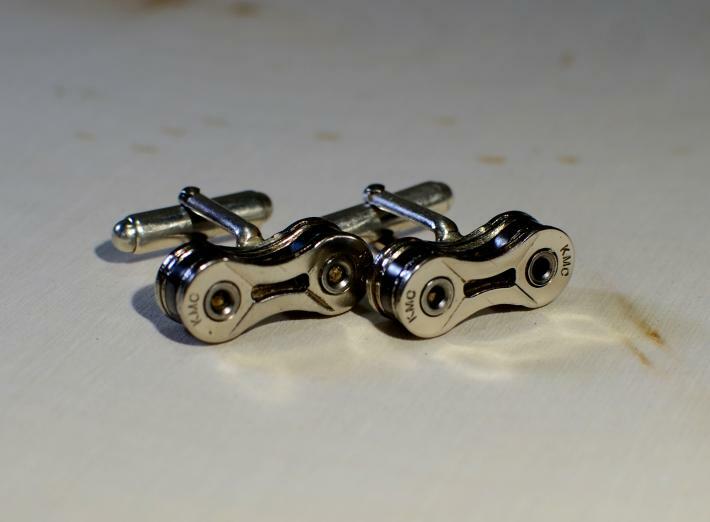 Weight weenies will also appreciate that the KMC SL 9 Speed Hollow Pin chain used for these links is one of the lightest chains available. 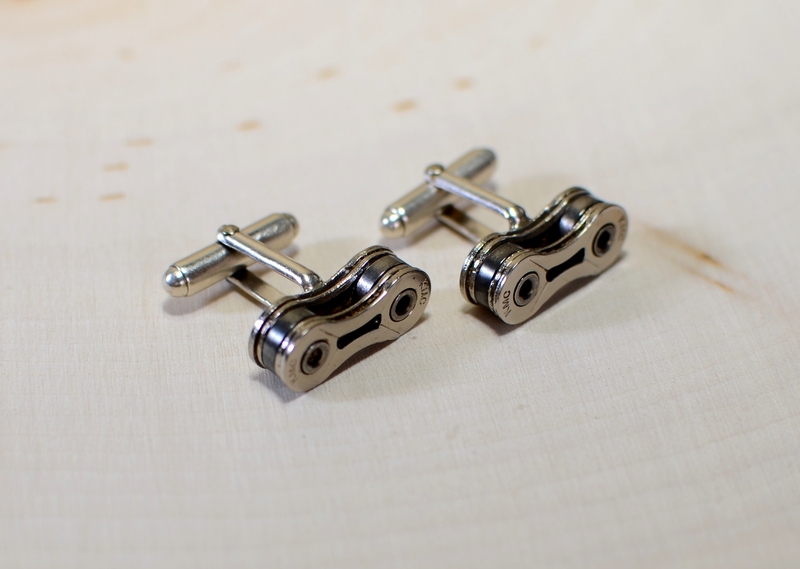 These cuff links are sure to please gram counters, passionate cyclists, and those hard to shop for athletes.